Most view success as who comes first. But what happens if you aren’t first. Lead where you stand as success isn’t determined by your position. If you could cut your time in half to get to where you want to go faster, would it be worth it? Cutting corners for the leading edge. Some would argue, “Why wouldn’t you?”. Today, we honor Dr. Martin Luther King, Jr., a man who led from where he stood. Cutting corners was not in his vocabulary. In fact, most don’t know he was jailed 29 times. And one for going 30 mph in a 25 mph zone in Montgomery, Alabama. However, there’s even more fascinating facts about Dr. King that most people are not aware of that changed the course of history. The famous speech, “I Have A Dream“, was not originally planned to be spoken. He decided to share his dream while standing at the podium. But how did Dr. King even get the opportunity to speak at the March on August 28, 1963? The organizers had all the blocks of speakers and performers for the event with the exception of the last slot. No one wanted to speak last as the media would be packed up and gone, and everyone would be leaving. So Dr. Martin Luther King, Jr. agreed to speak last and only for 4 minutes. Then history was written. “I Have A Dream” echoed from the Lincoln Memorial. All that one would have thought would happen was turned upside down and inside out. The K.I.S.S. ~ L.E.A.D. where you stand! Locate – Where are you? Where do you want to go? Connecting where your are now verses where you are headed. Evaluate & Examine your strengths and your weaknesses. What do you need to get to where you want to go? This is beyond you. AIM – Action ignites motivation. Make your move. Build up your courage by doing. Discipline – Be willing to do the work. 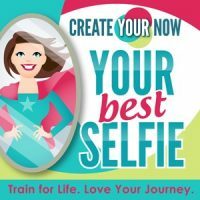 Work on you and create your best selfie. Dr. Martin Luther King, Jr. did exactly that. He didn’t compare himself to others in the lineup. He didn’t complain where he was to those who seemed to have more influence. He led where he stood! Where are you choosing to lead from today? What dream do you want to see come true.